As Aspen Ruggerfest ends one half century and begins another this September 14-17, the tournament committee has rewritten the rules to conform to those used in most other tournaments nationwide. In the past few years the number of complaints about teams poaching players for finals matches, using players who did not qualify for their age bracket, and players competing on more than one team within the same bracket have spiked. In order to make the competition fairer specific procedures will be adopted for all teams. 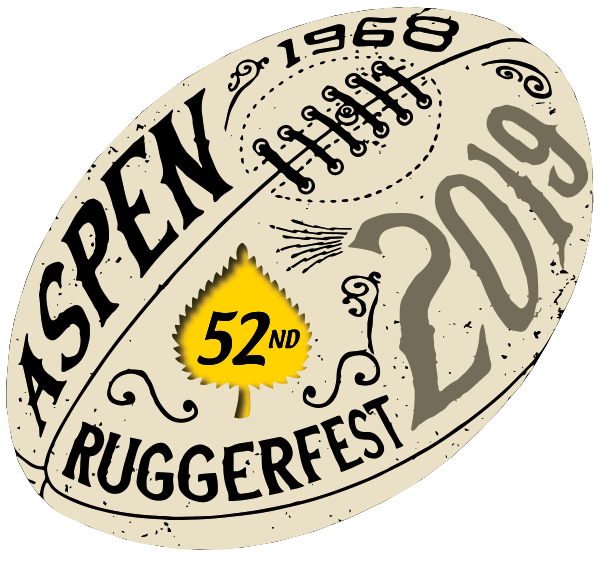 The specifics of the new procedures, which will be applied this year and enforced by both the Tournament Committee and the Referee Committee, will be sent out to all registered teams with their invites..
Gentlemen of Aspen Rugby Football Club has a rich tradition of Aspen Ruggerfest for 50 YEARS! 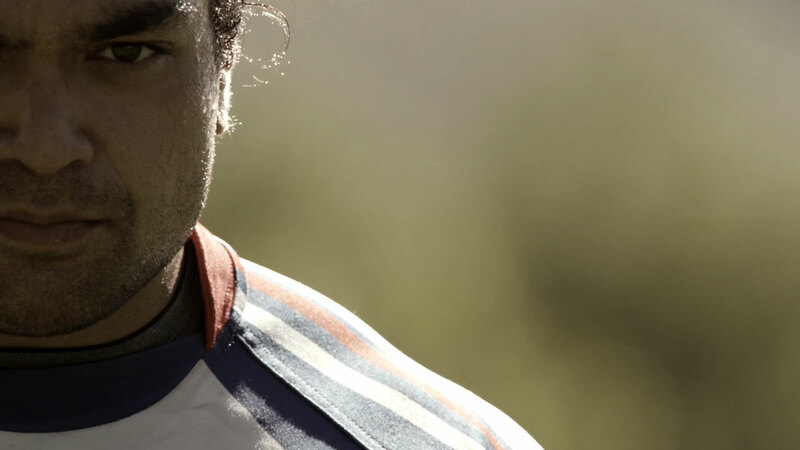 I got to spend a day at the 50th Aspen Ruggerfest with founder Steve Sherlock learning more about its history. The Gents, once again, did not disappoint and made it through to the Finals. The Aspen Ruggerfest Committee has decided to not offer prize money, after experimenting with it in past years. The idea to offer prize money was to see if it would effect interest in the tournament in the atmosphere of burgeoning professionalism in the USA. After observing the competition and talking to various attendees, the committee decided that offering prize money was not in the best interests of the tournament, that Ruggerfest is not about the professional model. The committee wishes to maintain the original intentions of the founders of Ruggerfest 50 years ago. 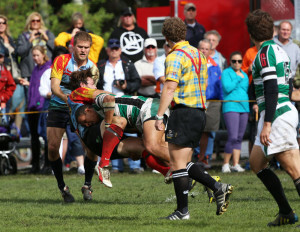 Then Eastern Rockies Rugby Football Union President Terry Fleener wrote a letter to Steve Sherlock, the founder of the Gentleman of Aspen RFC, stating that Aspen would be a great place to have a ‘festival of rugby’ where teams could assemble to celebrate their sport over the weekend with play and revelry. Professionalism runs on money, amateur play runs on passion. Aspen Ruggerfest is on every ref’s bucket list according to Marc Nelson vice- chairman of the Rocky Mountain Rugby Referee Society (RMRRS). The tournament falls under its jurisdiction, but he says that every year other referees societies send requests to send referees to participate in the event. Referees come over from as far as the UK to participate and to experience the tournament- often paying their way to show up. These UK referees scallywag their way into the tournament, meaning they pay their way. Always on the sidelines will be the referee coaches and USA performance reviewer. When referees are not calling games they will be running touch and helping the referee on the field. Marc, a Western Zone Referee manager, along with Mike Cobb, the Eastern Zone Referee manager represent the USA Rugby High Performance Referee Development Team. Their task throughout the weekend will be to evaluate referee talent to determine who they can fast-track into becoming high performance refs. During the competition on Thursday and Friday most of the referees will be from the local RMRRS, which itself has two national level referees. On Saturday for the Open Division and on Sunday for the finals mostly the national caliber and international referees will call the games.